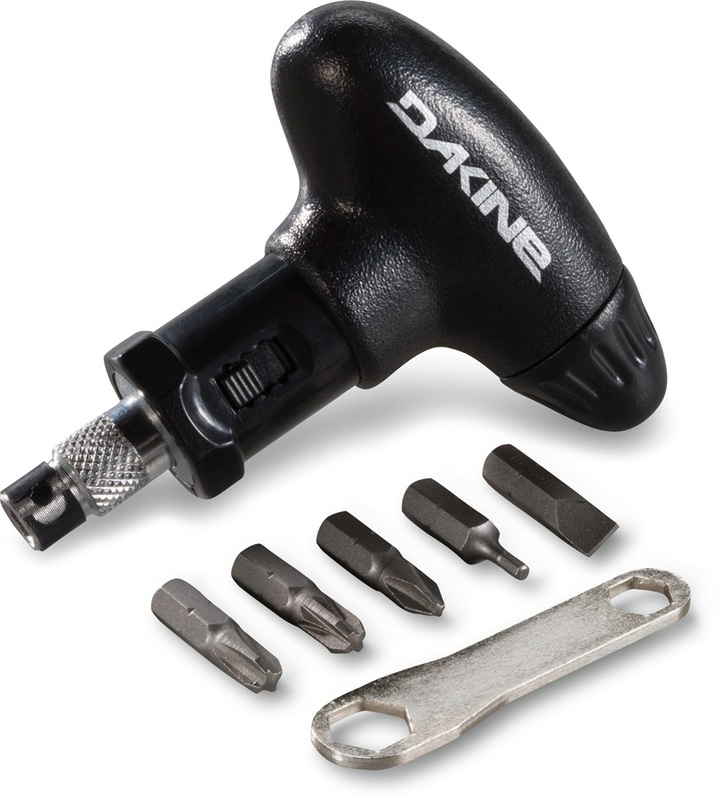 The Dakine Torque Driver snowboard binding tool has a classic 'T' handle design for maximum grip and a nice smooth running ratchet action. Classic simplicity. Integrated into the driver is a 10mm hex socket. Packed into the handle you get #2 and #3 Phillips head screwdriver bits,#3 Posi-drive and 3/32 inch hex pieces plus a 1/4 inch flat head screwdriver. 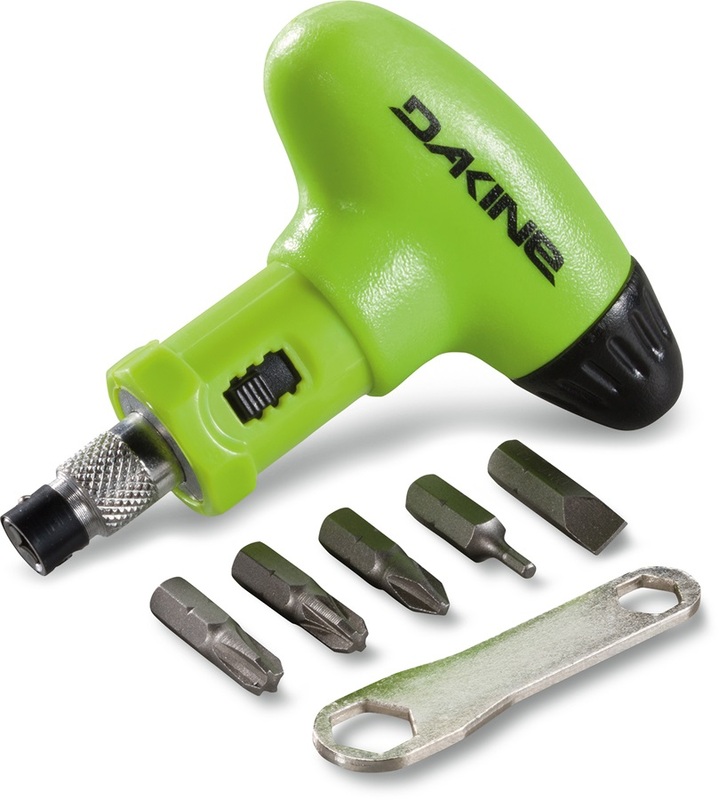 The T Handle also stores a 8mm and 10mm single piece wrench. No snowboarder should ride without a binding tool, if not to fine tune your bindings whilst out riding, then for safety's sake. The nuts, bolts and screws on all makes of snowboard binding have a nasty habit or working loose and always at the worst possible moments. A snowboard binding tool gives you the freedom to relax while you ride and is handy on or off of the mountain.